Gelatin is a multifunctional natural talent that is a preferred ingredient in foodstuffs. The Gelatin sheets Gold’s bloom equals approximately 205. 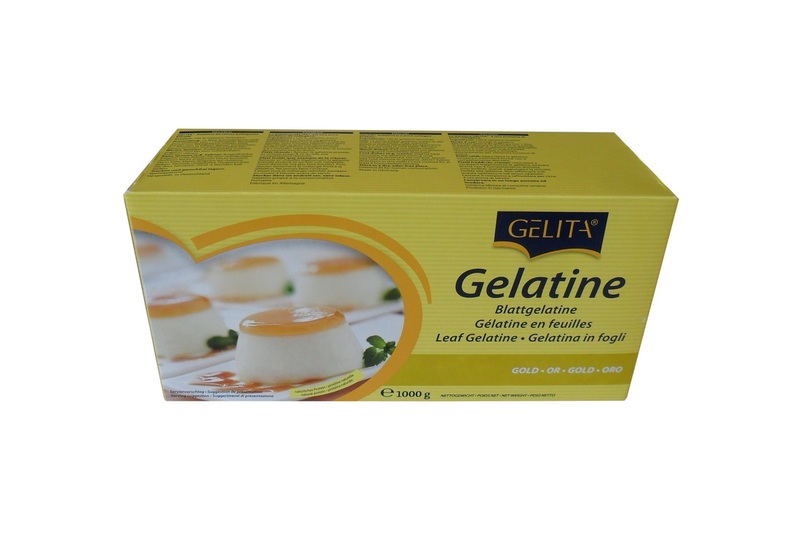 6 sheets of Gelita Gelatin are usually enough for getting half a liter of liquid, and for crèmes containing egg yolks no more than 4 sheets are required. These gelatin sheets (odorless, tasteless and colorless) are widely used in baking and confectionary, for many purposes such as jelling molded desserts and salads, thickening cold soups and glazing preparations. Due to its excellent processing qualities it can be innovatively used in new recipes for the creative cook.